Samford University’s Cumberland School of Law’s Black Law Students Association will present the 24th Annual Thurgood Marshall Symposium Feb. 15 at 5:30 p.m. in the Regions Community Resource Room in Samford’s Cooney Hall. The 2018 symposium will feature keynote speaker the Honorable Cheri L. Beasley, associate justice for the North Carolina State Supreme Court. Beasley earned her law degree from the University of Tennessee in Knoxville and is now a seasoned judge with more than 16 years of experience. 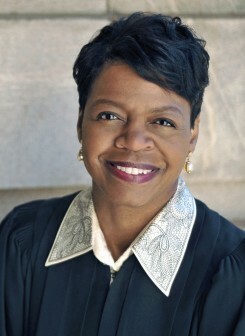 She was appointed to serve on the North Carolina Supreme Court in December 2012 as only the second African-American woman to serve in that capacity. She was elected to serve on the North Carolina Court of Appeals in 2008 where she became the first African-American woman to win election to a statewide office in North Carolina without first being appointed by a governor. She served as a District Court Judge in Cumberland County, Fayetteville, North Carolina, for 10 years while presiding in all of the courts – family, certified juvenile court, criminal and civil. Beasley is a member of The Women’s Forum of North Carolina and the Junior League of Raleigh. Among her achievements, she has been awarded the Woman of Justice Public Official Award by North Carolina Lawyers Weekly; she is an inductee of the Rutgers University African-American Alumni Alliance Hall of Fame; and she was awarded the Outstanding Achievement Award for Justice, Alliance of North Carolina Black Elected Officials and Advocates. Beasley also holds memberships in a host of professional and civic organizations including the American Bar Association/Appellate Judicial Division, the North Carolina Bar Association, the Cumberland County Bar Association and the Wake County Bar Association. Cosponsored by Samford’s Office of Diversity and Intercultural Initiatives, the program will provide one hour of convocation credit for participating students as well as Continuing Legal Education for practicing attorneys. The symposium is one of several events during the 2017-18 academic year commemorating the 50th anniversary of integration at Samford.